On Tuesday following her speech on national security, reporters breathlessly described how Hillary Clinton unveiled her strategy to defeat ISIS, and how she plans to address the threat of homegrown radicalization. They also gushed over her reminding voters that Islamophobia is not just offensive but harmful to American national security. The problem with the news stories about Clinton the warrior is that it was neither a strategy nor a plan but a campaign promise of sorts. Meanwhile, some top officials in President Barack Obama’s administration who worked at the United States Central Command are currently being investigated for their alleged altering of intelligence reports “to give a more positive picture of the anti-ISIS campaign.” But according to The Weekly Standard’s Steve Hayes, a popular Fox News contributor, the newest Barack Obama/Hillary Clinton mega-scandal is a more serious example of a corrupt administration. As presidential hopeful and de facto empress of the Democratic Party, Hillary Clinton, finds herself having to discuss Islamic State of Iraq and Syria (ISIS) terrorism and the group’s growing threats in Libya, Yemen, and Afghanistan, U.S. intelligence documents released to a government watchdog are once again gaining some prominence. The Defense Intelligence Agency (DIA) material confirms the suspicions of many Americans: that the U.S. facilitated the rise of the Islamic State of Iraq and Syria (ISIS). The purpose of such an act? To create an effective adversary against the government of the Syrian dictator President Bashar al-Assad. Obama and his Secretary of State during the so-called Arab Spring. 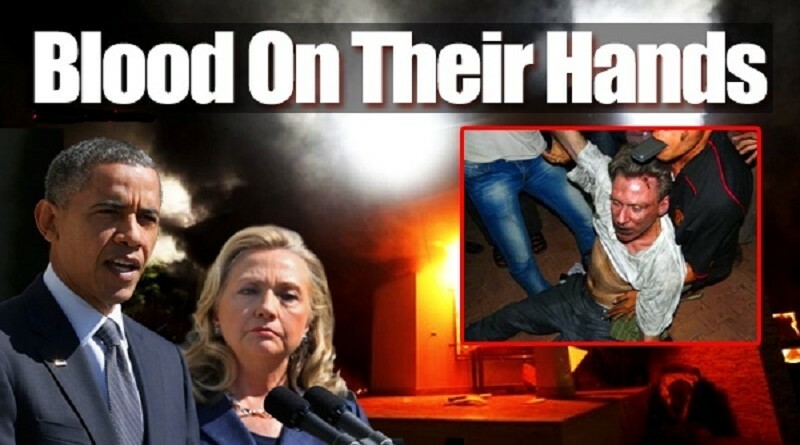 Hillary Clinton, had already helped to overthrow the Egyptian dictator and helped a radical Islamist group — the Muslim Brotherhood — attain power; and she also helped to perpetrate the ouster and death of Libya’s dictator, as well. Libya then became a hodgepodge of warlords and Islamist groups seeking control of the fledgling government. ISIS members were initially trained by members and contractors of the Central Intelligence Agency (CIA) at facilities in Jordan in 2012. The original goal was to weaken the Syrian government which had engaged in war crimes against their own people, according to a number of reports overseas. The non-profit, non-partisan Judicial Watch — a group known for its investigation of government corruption and abuse — had obtained more than 100 pages of classified documents from both the US Department of Defense and the State Department through a federal lawsuit. One of the Defense Intelligence Agency (DIA) documents declared that President Barack Obama and his counterparts within the coalition considered the establishment of a Salafist organization in eastern Syria in order to hasten the downfall of the Assad regime. “And this is exactly what the supporting powers to the (Syrian) opposition want, in order to isolate the Syrian regime,” said the DIA report, which had been formerly classified until its release. The documents obtained by Judicial Watch also provide the first official documentation that the Obama administration was well aware that weapons were being shipped from Benghazi to rebel troops — including members from ISIS, the Al-Nusra Front and other Islamist terror groups — in Syria. An October 2012 report confirms that: “Weapons from the former Libyan military stockpiles were shipped from the port of Benghazi, Libya, to the Port of Banias and the Port of Borj Islam, Syria. The weapons shipped during late-August 2012 were Sniper rifles, RPG’s, and 125 mm and 155mm howitzer missiles.” The deadly and shocking attack on the U.S. diplomatic mission that saw four Americans — including a U.S. ambassador — slaughtered by jihadists occurred just weeks after the weapons shipment.